The tech communities in China and the U.S. are now talking to each other more than ever. Some of the most ambitious deals involve both American and Chinese founders and investors. TechCrunch has noticed this cross-pollination effect, and we feel Disrupt should reflect this trend. That’s why we’re so excited to host some of the best Chinese companies and investors at Disrupt SF this coming September. 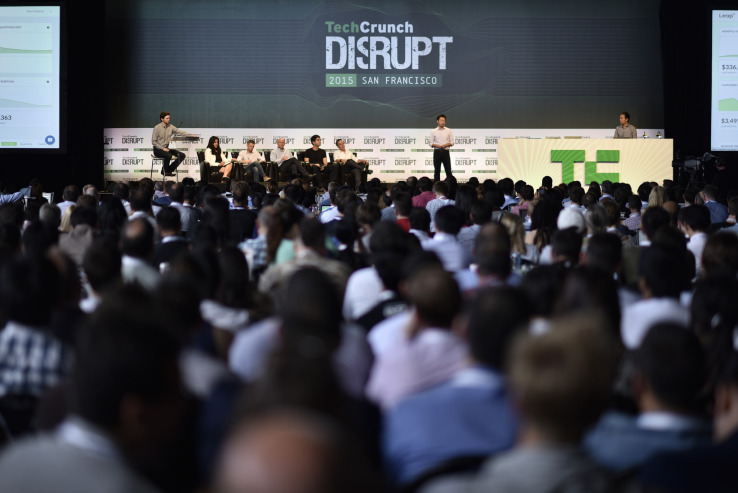 Along with some key interviews and fireside chats, Disrupt SF has special events tailored for the Chinese startup scene as well as services for non-English-speaking attendees. General admission tickets are now available at an early-bird discount rate. Folks who attend the conference will have a chance to check out an “Off the Record” workshop session that focuses on cross-border venture capital investment in Asia. This workshop will be a moderated discussion between investors and founders who are experts in this field. Like other Off the Record sessions, this will not be live-streamed. Disrupt’s main stage is set to host several interviews with major companies from mainland China including Ofo, VIPKID and ZhenFund. We’re honored to have ZhenFund’s founder and executive director Bob Xu sit down for a fireside chat at Disrupt SF. Often called the Ron Conway of China, Xu is a prolific and highly successful angel and seed investor — though Conway has been quoted as saying he likes to be considered the Bob Xu of the U.S. Xu started ZhenFund with partner Victor Wang in 2011 and has raised $600 million and invested in some 400 startups. Eight of these investments have grown to be worth more than a billion dollars and five went public with four of them listed on US exchanges. There’s plenty to talk about with Ofo co-founder and CEO Dai Wei. Bike-sharing is quickly becoming a global trend in reinventing transportation. And Beijing-based Ofo is one of the hottest companies in the field — the startup just raised an impressive $700 million Series E round from noted investors, such as Alibaba and DST Global. We’re happy to have Wei sit down with us and share his experiences in growing a startup into a unicorn that has served more than two billion bike rides to more than 100 million users. VIPKID founder Cindy Mi will sit down for a fireside chat to discuss the astounding growth rate of her company that quickly grew into the world’s largest English education service for children. She started the company in 2013 and attracted investments from both sides of the Pacific. As of a year ago, when the company raised a $100m Series C, VIPKID said it was growing at 10x year-over-year, and had half a million registered students in China and some 3,000 instructors on its platform. We’re also excited to have ZhenFund Partner and CEO Anna Fang participating as a judge in Startup Battlefield — she will help evaluate early stage companies launching on our stage. She’s well-suited for this position, too. As an early stage investor, she’s focusing on all things related to education, technology, media and telecom in China. According to CrunchBase, between 2012 and now, there have been 830 venture deals with American startups involving Chinese investors. In fact, between 2012 and 2015, participation by Chinese investors more than quadrupled. And there was a similar increase in American investors’ participation in Chinese companies’ funding rounds — in other words, cross-border investing is growing on both sides. In an effort to make Disrupt more accessible, the show will feature simultaneous translation from English to Chinese at no charge to all show attendees. We will also have a Chinese language program guide and Chinese-speaking volunteers. Email [email protected] if you are a chinese-language speaker and have questions about attending or sponsoring Disrupt. You can expect a response in 1-2 days in Chinese. General admission tickets are now available at an early-bird discount rate. Exhibit and sponsorship packages are also available. We hope to see you there.